Below, Kim Skildum-Reid provides a selection of must-read books for sponsorship professionals. Some are specific to the sponsorship industry, others provide key insights that industry professionals need to get the best result. As we review new books, we will be adding to and extending this list. For more on all of these, we recommend checking them out on Amazon. They are also available from other good booksellers worldwide. Sponsorship is a privilege—don't abuse it. When you use sponsorship to build a brand, you are using the most powerful marketing tool you have. Why? Because you have the privilege of connecting with people and building relationships with them through something they have already decided they care about. Get it right and your results will skyrocket. Get it wrong and you could easily damage your brand. 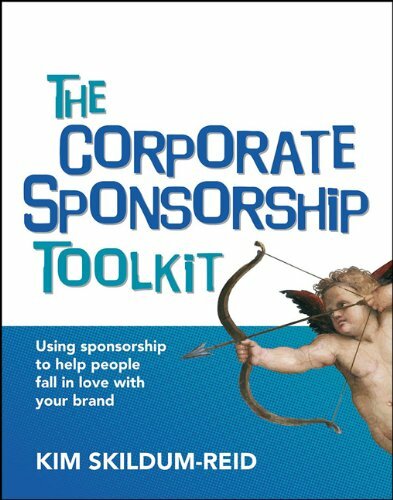 This comprehensive manual for corporate sponsorship will guide you through the mindset, strategies, and tactics to develop amazing, best-practice sponsorships that add value to people’s event experiences and nurture your connection with those target markets, building preference, loyalty, and advocacy for real impact on your bottom line. This toolkit is packed with straightforward tools, techniques, templates, checklists, and resources—many of which are also provided on the included CD-ROM—to assist novices, seasoned professionals, and senior executives alike in getting the most from their sponsorship investments, doing it cost-effectively, and measuring the results. 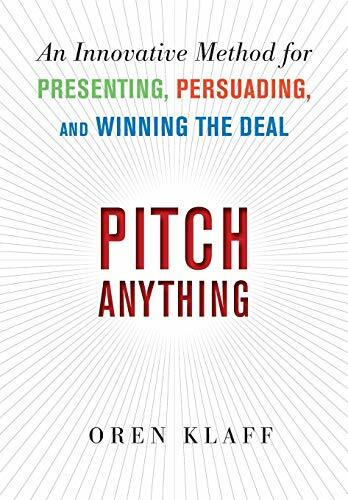 About the Book: When it comes to delivering a pitch, Oren Klaff has unparalleled credentials. Over the past 13 years, he has used his one-of-a-kind method to raise more than 0 million--and now, for the first time, he describes his formula to help you deliver a winning pitch in any business situation. Contrived. Disingenuous. Phony. Inauthentic. Do your customers use any of these words to describe what you sell—or how you sell it? If so, welcome to the club. Inundated by fakes and sophisticated counterfeits, people increasingly see the world in terms of real or fake. They would rather buy something real from someone genuine rather than something fake from some phony. When deciding to buy, consumers judge an offering's (and a company's) authenticity as much as—if not more than—price, quality, and availability. 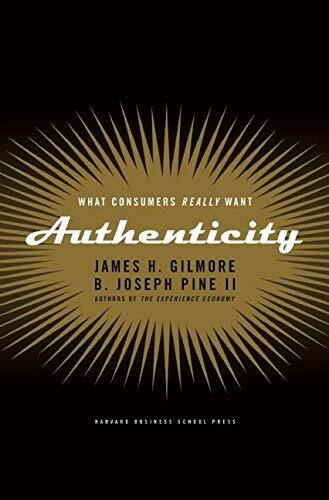 In Authenticity, James H. Gilmore and B. Joseph Pine II argue that to trounce rivals companies must grasp, manage, and excel at rendering authenticity. Through examples from a wide array of industries as well as government, nonprofit, education, and religious sectors, the authors show how to manage customers' perception of authenticity by: recognizing how businesses "fake it;" appealing to the five different genres of authenticity; charting how to be "true to self" and what you say you are; and crafting and implementing business strategies for rendering authenticity. The first to explore what authenticity really means for businesses and how companies can approach it both thoughtfully and thoroughly, this book is a must-read for any organization seeking to fulfill consumers' intensifying demand for the real deal. 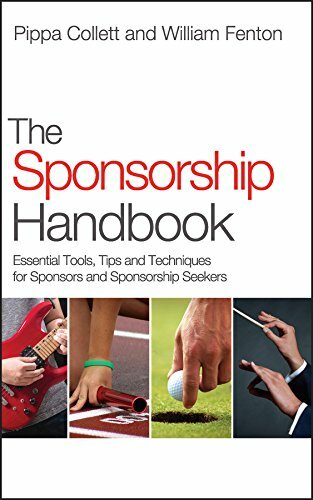 The Sponsorship Handbook is a practical guide to sponsorship aimed at practitioners both working for sponsoring companies and those searching for sponsorship. 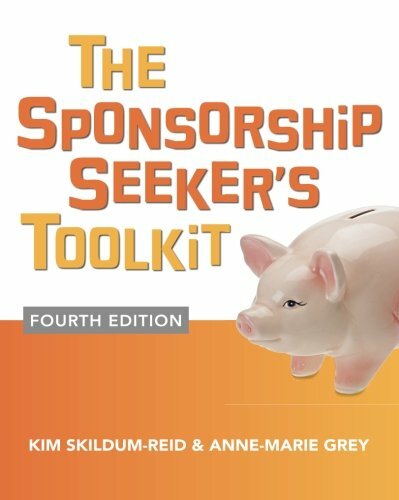 Using the tools, techniques, advice and best practice advocated in this book both sponsors and sponsor seekers will benefit from better servicing and activation once a sponsorship is implemented, with metrics that enable data-based accountability rather than hearsay. "Everyone in the sponsorship industry, from the biggest events and properties to the smallest, are benefitting from the increasing knowledge, data availability, metrics and professionalism in using sponsorship. 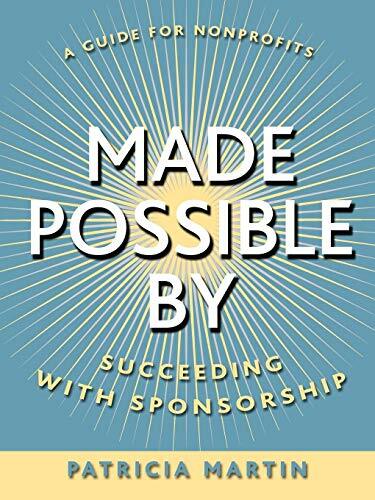 The Sponsorship Handbook is a part of that process which we hope will bring future success and proven sound results to all in the complex and exciting world of sponsorship." "An indispensable reference for any marketer who is keen to build his/her brand using sponsorship; the new ascending way to empower brands." And though the world has changed in many ways since then, the way to a customer's heart has not. In fact, the idea of staging experiences to leave a memorable—and lucrative—impression is now more relevant than ever. With an ongoing torrent of brands attacking consumers from all sides, how do you make yours stand out? 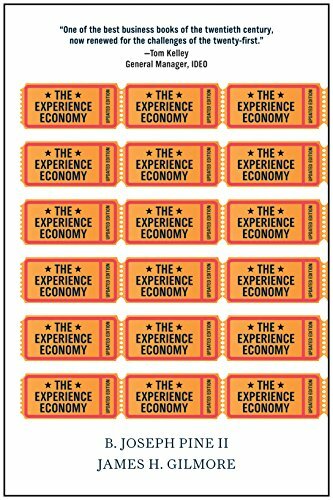 Welcome to the new Experience Economy. 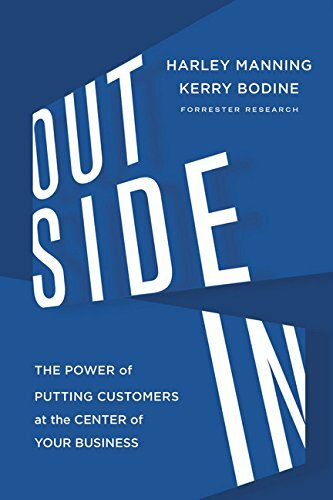 With this fully updated edition of the book, Pine and Gilmore make an even stronger case that experience is the missing link between a company and its potential audience. It offers new rich examples—including the U.S. Army, Heineken Experience, Autostadt, Vinopolis, American Girl Place, and others—to show fresh approaches to scripting and staging compelling experiences, while staying true to the very real economic conditions of the day. If you're like many nonprofit and event or festival producers relying on corporate sponsorship dollars, you face seemingly overwhelming impediments to securing sponsors. You may be stopped, dead in your tracks, unsure about what if anything you can do next. This book is for you. It will flip your thinking on its side and provide a jump-start, in the form of the tools and techniques and confidence you need to go forward. 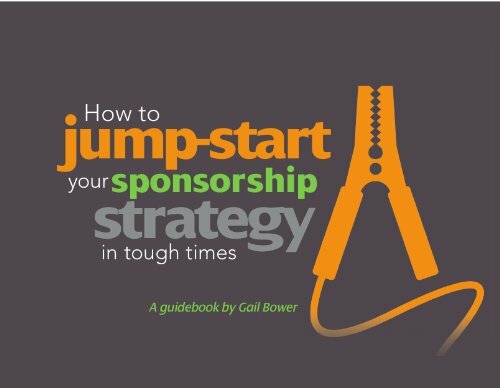 How to Jump-start Your Sponsorship Strategy in Tough Times paints a picture of the economic events and realities of the last year as they relate to sponsorship. You ll have an understanding of the prevailing trends and challenges that face you and your sponsors. Combined with your knowledge of your organization, event or festival, and what is happening in your own business environment, this guidebook will assist you to: navigate the best path to build relationships with current and new sponsors; improve the value of your sponsorship opportunities; enhance your sponsorship revenue; and cultivate the best environment for your sponsorship program to generate results for you and your partners. There is a myth that it's only major sponsors of huge events that get ambushed. The truth is that ambush marketing goes on at all levels of the sponsorship industry, from small charities to industry associations, festivals and the Soccer World Cup. In a world first, bestselling author Kim Skildum-Reid puts her more than 20 years of sponsorship marketing experience into the topic of ambush marketing. 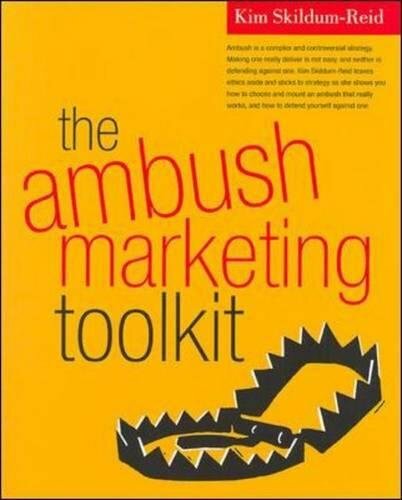 The Ambush Marketing Toolkit (with accompanying CD) provides sponsors, events, and prospective ambushers with a no holds barred, strategic approach to ambush prevention and the mounting of a successful ambush. 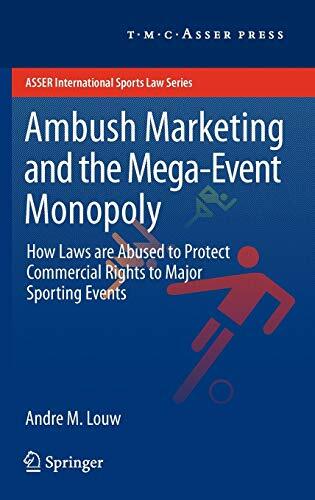 This book undertakes a critical examination of commercial rights to sports mega-events (focusing on sponsorship), the exclusivity of such rights and the legal implications of the modern mega-event sponsorship model. It examines ambush marketing of events and the law’s treatment of ambushing (specifically in the form of sui generis event legislation) in a review of 10 major jurisdictions selected on the basis of the importance of the events they are to host in the near future or have hosted recently, and the relevant domestic legislation. It critically examines the legitimacy of such commercial rights protection by means of the use of laws in the context of accepted principles of intellectual property law, competition law and human rights law. Specifically, it questions the legitimacy of the creation of statutory ‘association rights’ to mega-events, and considers potential future developments in respect of the law’s treatment of mega-event commercialisation. Valuable for practitioners and academics (in the fields of sportslaw/sponsorship/marketing/intellectual property law); sports administrators (sports governing bodies); corporate sponsors of sports and other events; potential mega-event host governments and law-makers; civil rights organisations.